While there were some hostilities between whites and Indians in Kansas before the Civil War, the Plains Indians became a major concern after 1865. 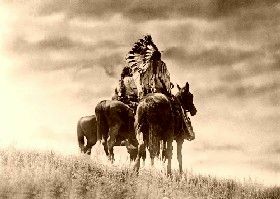 At that time, the white settlers began to encroach upon the traditional hunting grounds of the Plains tribes, including the Cheyenne, Kiowa, Arapaho, and Comanche, in great numbers. While there were many factors that caused the hostilities, the major issue among the tribes was the wanton destruction of the buffalo, which was the life-blood of their culture. General Winfield Scott Hancock, a Union hero of the Battle of Gettysburg, arrived in western Kansas in the spring of 1867. Hancock was inexperienced in dealing with American Indians and rather than bringing peace to the Plains, most authorities agree that he managed to provoke a full-scale war. In 1867, several chiefs, representing five different tribes, signed the Medicine Lodge Treaty. However, peace was short-lived. 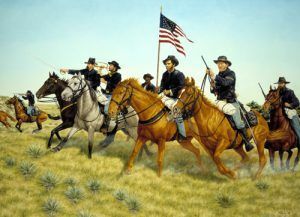 Later that year, General Philip Sheridan was appointed to head the Department of the Missouri and pacify the Plains Indians. In the winter of 1868, he initiated a plan to attack the Cheyenne, Kiowa, and Comanche tribes in their winter quarters, taking their supplies and livestock and killing those who resisted, driving the rest back into their reservations. 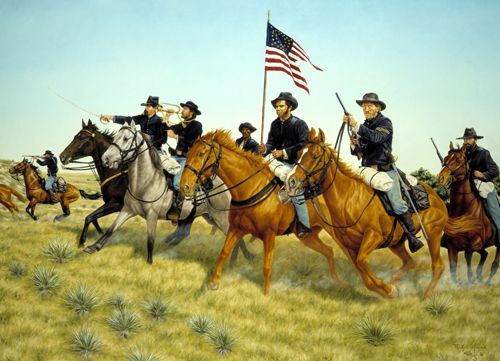 After Sheridan’s campaign, the worst of the Indian warfare on the Kansas Plains was over. However, that changed with the Cheyenne Raid of 1878, when a band of some 300 Cheyenne, led by Chiefs Dull Knife and Little Wolf, fled Indian Territory for their homeland in the Black Hills of South Dakota. 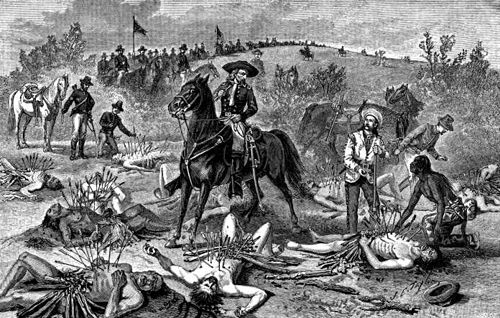 On their flight through Kansas, 40 settlers were killed and a great deal of property was stolen or destroyed. After surrendering to military authorities in Nebraska, seven of Dull Knife’s followers were turned over to civilian authorities and taken to Dodge City, Kansas to stand trial. ©Kathy Weiser-Alexander, updated June 2018.